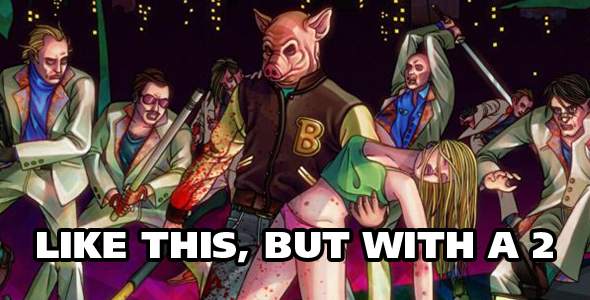 Last year, Dennaton Games and Devolver Digital put out one of the most fantastic games of last year with Hotline Miami. Lookes like the sequel has been hanging out around E3. Looks like Dennaton are showing off the game somewhere around E3. The subtitle ‘Wrong Number’ also sounds flipping amazing. They’re showing off the PC version but we do know the team working on the port of the original for PS3 and Vita will be working on porting the sequel. No word yet if it’ll release at the same time as the PC version but Dennaton really want to. If you still haven’t played the original, it’s out now currently on PC/Mac/Linux and the PS3/PS Vita versions will be coming sometime in the summer.